Some years ago, while working at the CDC, my coworkers were always boasting about the great restaurants on Buford Highway. This area is well known for many international food options to enjoy. The first time I took someone’s advice to try a restaurant on Buford Highway, I was not impressed. The health department score was so low that the place should have been shut down (at least that it my opinion). So when my friend invited me to try something new on Buford Highway, I was a little nervous. Since I trusted that she wouldn’t recommend a poor quality establishment, I decided to give it a try. And I’m glad that I did. The name of the place is I Love Pho. She highly recommended pho (pronounced fuh, like f%$k, without the k). So, that’s what we had. 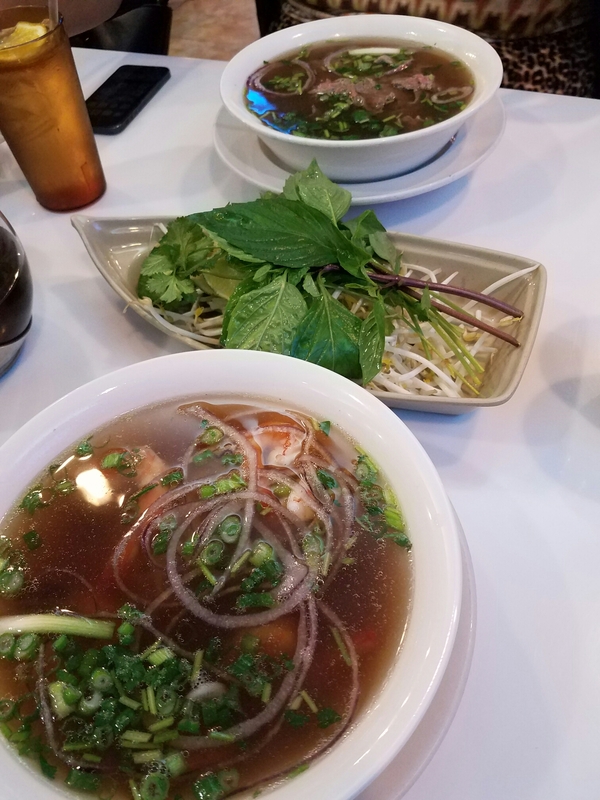 Pho is a dish with noodles, broth, vegetables and herbs. The herbs and bean sprouts are brought to the table early do that they can be added to the bowl when it arrives. I decided to try the shrimp pho. It was delicious!! 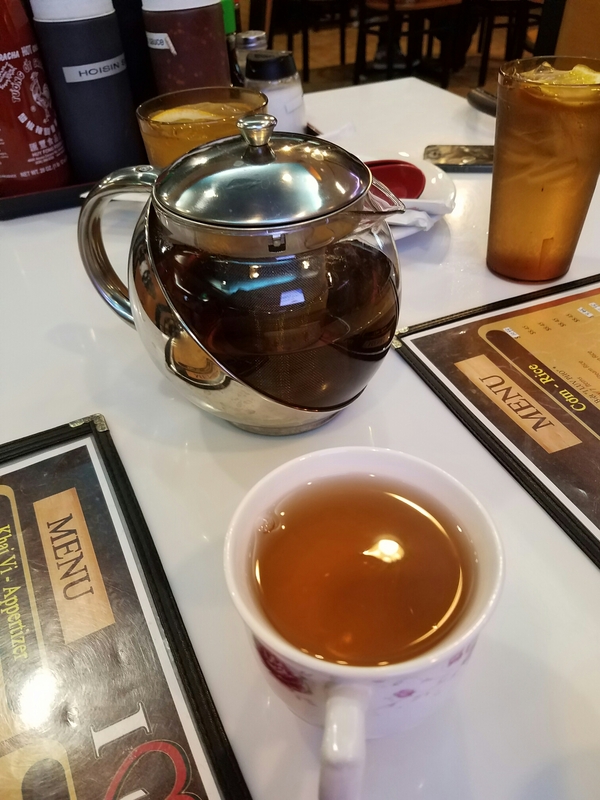 I also enjoyed a pot of Jasmine tea. No sugar needed. So, if you are into trying new things, this is one dish I would suggest you try.